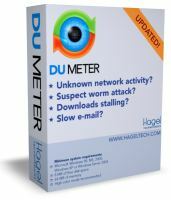 DU Meter - Small utility which affords real-time graphical display of internet data transfer rates. Includes auto-hide feature, stopwatch which accurately times downloads and transfer rates. anyTV - Watch local TV, world TV, Live TV, satellite TV from countries of all world in different languages on your PC with anyTV not just at home, but at the OFFICE , work or wireless. Watch 2630+ Online TV, 6910+ Video clips. Listen to 4750+ Online Radio. OfficeSIP Server - Enable your employees call each other for absolutely free no matter where they are in the world. Use regular telephones, including wireless handsets or headsets, and don%u2019t pay a penny for long-distance calls! 4PSA VoipNow - Linux IP PBX Asterisk based software with web user interface, multi tenant architecture and role based access for hosted SaaS PBX services or in-house softswitch solution. Just Audio Management - Rip record play & burn Supports drag & drop To your Mobile Devices, with the ability to Record from the Internet. Workshare Protect - Ensure your private data is secure with rules-driven policies. Netflow Configurator - Configure NetFlow v5 via SNMP on supported Cisco? devices. Facilitate collectors for Cisco NetFlow data, specifying the ports on which the collectors are listening, and monitoring inbound/outbound (ingress/egress) traffic data per interface. Credit Card Manager - This software helps you manage your finances by keeping up with your credit card purchases and payments. Published by Dataware. CodeTwo CatMan - This Microsoft Outlook addin allows sharing of Outlook categories with other users on the local network and manage them in an easy way.